The development of a Starter Motors line was a consequence and a natural aftermath of the success of the Solenoid Switches line. The large knowledge acquired during years of experience with these products provided an easy-going transition to the complete units. 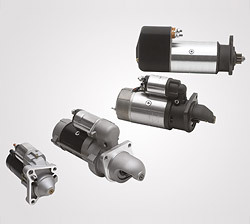 Nowadays the Starter Motor occupies a special position in the Company's strategic planning. New models are constantly being developed combining the new technologies obtained through the experience on the traditional line of Solenoid Switches. 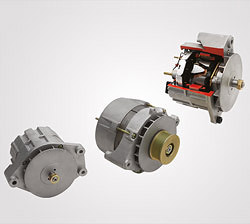 In addition to the automotive electrical line, ZM offers a complete line of Alternators. These products are designed to supply the domestic and export markets, where the company figured out a business opportunity taking advantage of its long experience. With the real growth in sales and a promising projection the line has been increased by new models. These figure on the guarantee of ZM quality and a modern and optimized production process which gives them on one hand the endorsement of a consecrate brand and secondly the ability to introduce in the market with competitive prices. See more Starter Motors & Alternator in our online catalog click here.